The practice of writer and artistic researcher Ashkan Sepahvand traces associations from within the histories of the body and the sensory as well as imagination, celebration, transformation and futurity. Together with Natascha Sadr Haghighian, Sepahvand founded the institute for incongruous translation, a mode through which they engage in collective enquiries into the productive discrepancies between sensing and knowing. Most recently, they decided to study chemistry as a way of attuning to the planetary transformations unfolding around them. Carbon Theater is part of a long-term collaboration between Sepahvand and Haghighian. The first edition of the work was presented as part of The Eighth Climate, 11th Gwangju Biennale, South Korea (2016). Act II was presented at Sharjah Biennial 13 (2017). 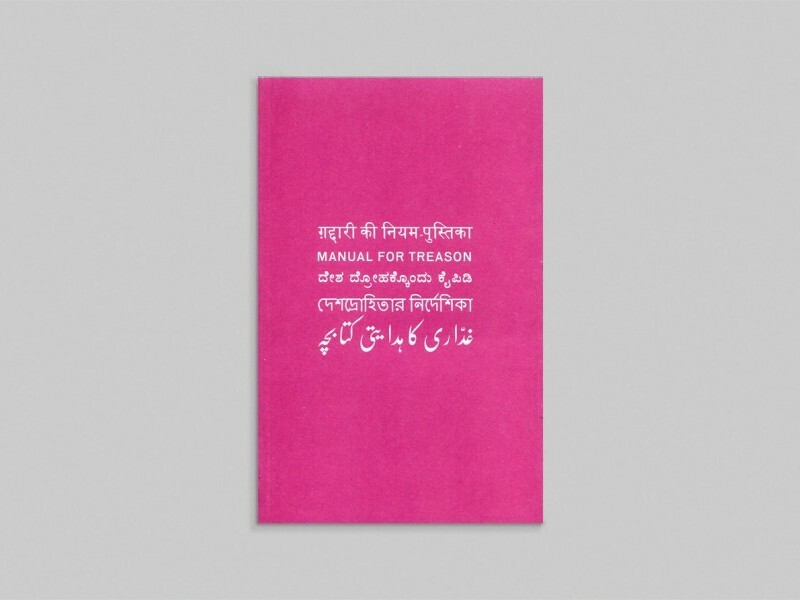 Sepahvand’s work was also featured in Sharjah Biennial 10 (2011). Sepahvand reads, writes, cooks, researches, edits and translates. He spent a few months in Damascus among artists, tourists and secret agents in a temporarily utopian commune; a summer in Tehran where he fell in love; a year in Beirut where he stared at the sea, thought of comings and goings, someones and no ones; and an autumn in Berlin collaborating with his dearest friend Natascha [Natascha Sadr Haghighian]on a schoolbook. He has never been to the Holy City. Someday, inshallah. Born in 1984 in Tehran, Sepahvand currently lives and works in Berlin. This person was part of the Sharjah Biennial 10 and 13. Manual for Treason is a guest-edited series of seven books playing on the literary sense of the word 'plot'. It was commissioned by Sharjah Art Foundation for Sharjah Biennial 10.